Marion…. On Friday, State Representative Dave Severin (R-Benton) joined Governor Bruce Rauner in Marion for the signing of House Bill 2897 into law. The new law, sponsored by Rep. Severin, amends the Unified Code of Corrections to allow the Helping Paws Service Dog Program to begin training service dogs for veterans with post-traumatic stress disorder (PTSD) or depression. Severin noted that PTSD and depression are serious mental health issues affecting many veterans, and service dogs have proven to help them cope. The Helping Paws Service Dog Program is administered by the Illinois Department of Corrections. 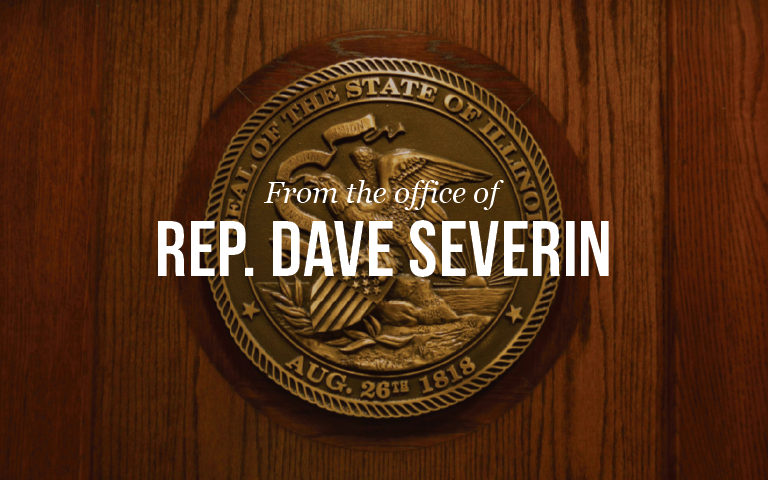 HB 2897 received unanimous support in both the House and the Senate and is the first bill initiated by Representative Severin to be signed into law.